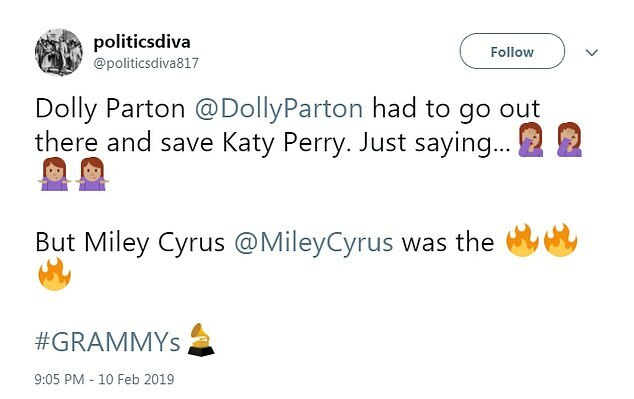 The stars were out in full force to pay tribute to Dolly Parton at the Grammys, but there was one singer that stood out from the others - and not in a good way. Perry took to the stage with Kasey Musgraves to kick-off the tribute with Parton's 1977 hit, sporting matching red and gold outfits. 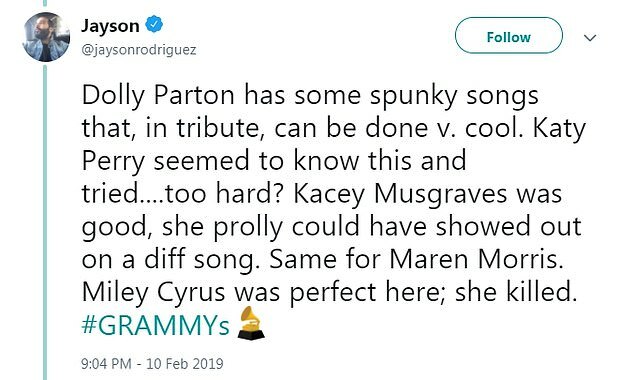 Maren Morris and Little Big Town also joined Parton on stage before the entire group came back to perform '9 to 5', one of the country icon's most famous tunes. She really isn’t doing herself any favours, it’s like she was trying to outshine Kasey but it just wasn’t happening. 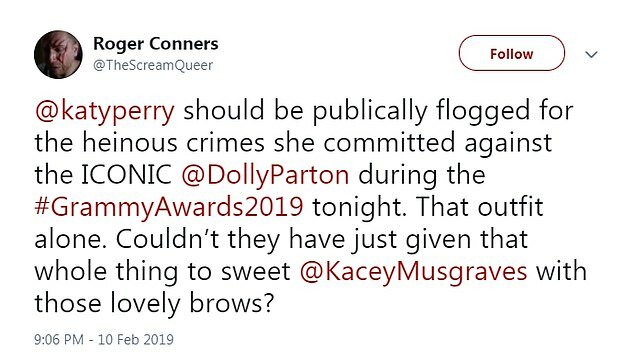 You could probably pick and choose the same trolls criticizing Gaga. 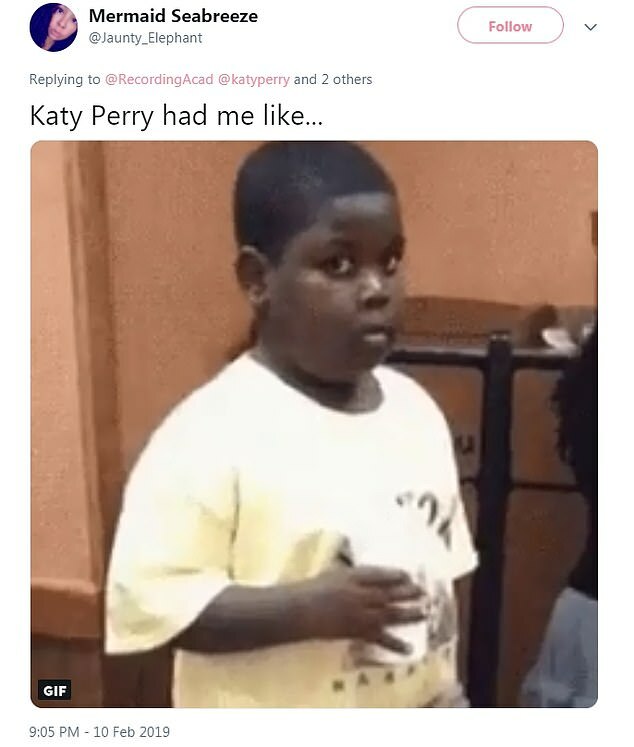 Honestly, Katy was a bit random, but whatever. 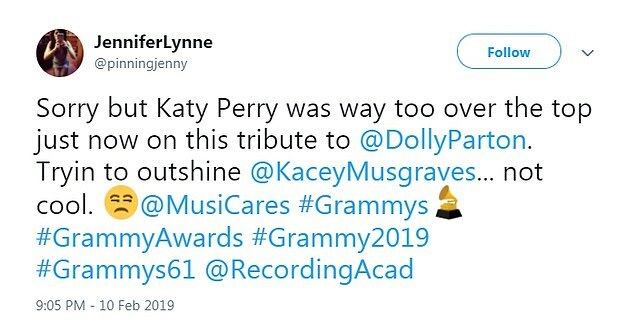 So is Katy's Tribute era starting? Katy Perry did an alright job. Let's not legitimize the twitter mob. 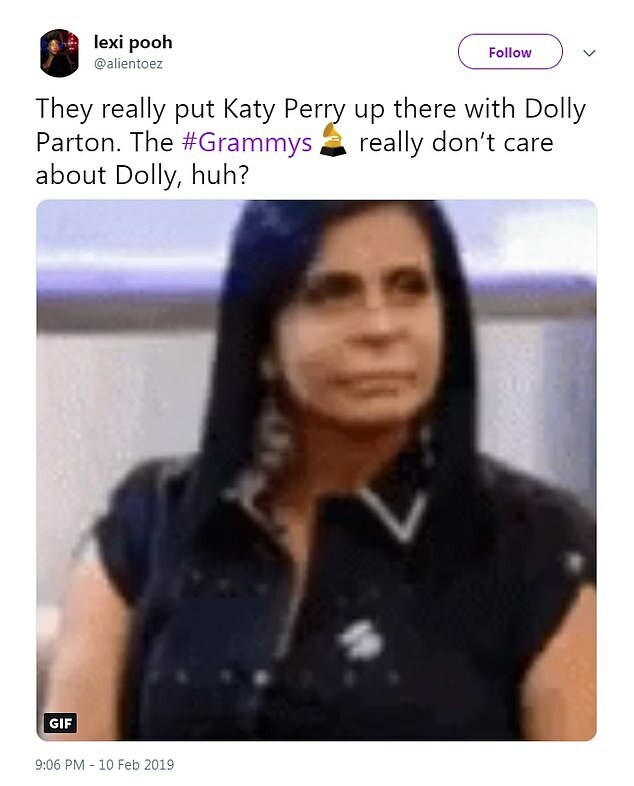 I actually legit thought that after Gaga did C2C and Witness happened that Katy was gonna see the parallels of the ARTPOP era and the Witness era and truly to do an era of country in the same way Gaga did an era of jazz, and that she would do that with Dolly after that first time Katy and Dolly performed together. 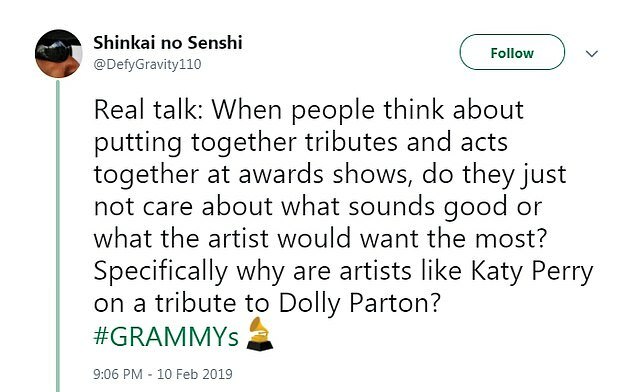 Because I mean let’s be real, whether it’s on purpose or unconscious Katy took notes when Gaga did stuff. 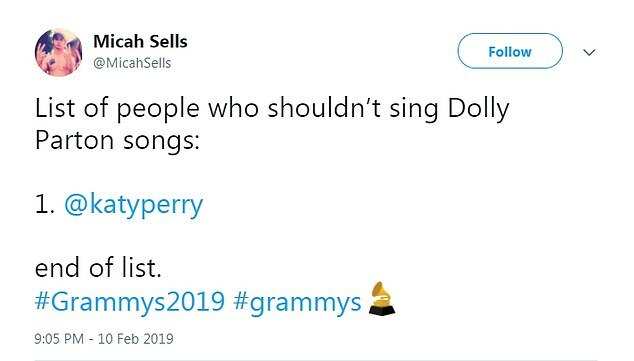 It won’t surprise me if she’s got a Vegas residency by 2020 lol. 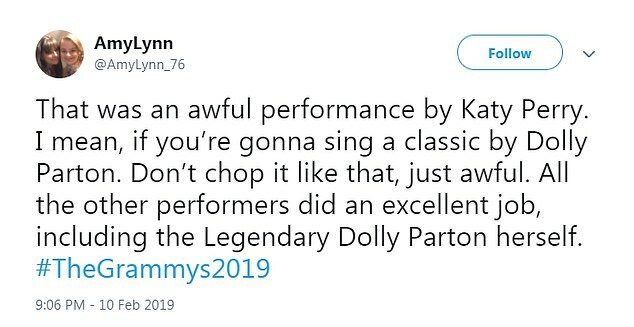 I am hit and miss with Katy, but that performance by her was terrible. I'm genuinely feeling bad for her these days. She was the one person in that tribute who struggled to sing. She also came across as making a joke out of it. (although I’m sure that wasn’t her intention) This appearance didn’t do her any favors. I think Katy did just fine. Is she an absolutely amazing vocalist? No. But that’s not her brand. I don’t think she did a bad job. I think people just like to hop on the Katy hate train. My mom was complaining about her before Katy even opened her mouth I was like “can you listen before you judge?”.